Laureate Professor and Ian Potter Chair of Zoology, School of BioSciences, University of Melbourne. Elected Fellow of the Australian Academy of Science (AAS); Secretary, Biological Sciences and Vice President of AAS; Officer of the Order of Australia; Past President of the Society for Reproductive Biology; Former NHMRC, Fulbright, Ford Foundation and Royal Society and ARC Federation Fellowships, Director of the ARC Centre of Excellence for Kangaroo Genomics. Gold Conservation Medal San Diego. 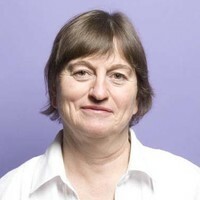 Professor Marilyn Renfree’s research has focussed almost entirely on marsupials because of their intrinsic interest and for the opportunities they provide as biomedical models for understanding mammalian reproduction and development. Her laboratory is known internationally for its study of the reproduction and development of marsupials that have resulted in a number of discoveries that challenged the accepted dogma including early mammalian development, control of embryonic diapause, sexual differentiation, virilisation and genomic imprinting. She has also been involved in genome studies of the platypus and the tammar wallaby.